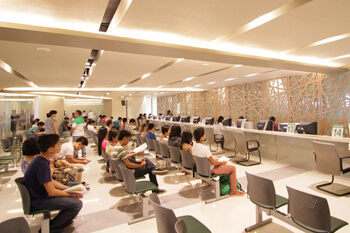 The Office of the University Registrar is under the supervision of the University Registrar and is located at the 2nd Floor of the Henry Sy Sr. Hall. The Office of the University Registrar is an enrollment service unit that administers operations in the areas of: enrollment, student records, graduation, faculty attendance, government liaison and other related services. The Office of the University Registrar envisions itself to be the heart of the Lasallian community in providing excellent services through international standards and integration of new technologies in records management. Guided by the Lasallian values, the Office of the University Registrar is committed to provide excellent customer service and quality records management, through combined efforts and professionalism, that will uphold the university’s vision in promoting Lasallian achievers for God and country.